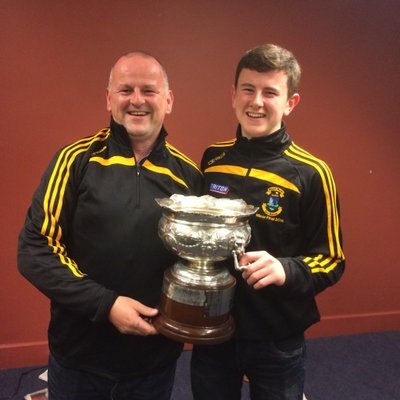 It will be Club v Country at the Aviva Stadium in April, after it was confirmed that Irish and Liverpool heroes of yesteryear will turn out in a fundraising exhibition in Dublin for Meath man Sean Cox. The Liverpool fan was viciously attacked outside Anfield ahead of the Champions League semi-final encounter with Roma last April, and after ten months in recovery, his wife Martina gave an update on the Dunboyne native's condition, speaking at a dinner this afternoon to launch the match. Attending the event alongside son Jack, Mrs Cox reassured us that her husband was making "encouraging progress" and was able "to do things now that he wouldn't have been able to do a couple of months ago". However, given the complex nature of the injuries sustained by the father-of-three last year, he will still require professional attention for the foreseeable. He will need a huge amount of rehabilitation going forward. Sean needs the best and we have to make sure we get the best for him. The game, scheduled for April 12th, will see an Irish eleven managed by international manager Mick McCarthy take on a Liverpool Legends side that will feature the likes of John Aldridge, Robbie Keane and Jason McAteer. McAteer, who was also present at the Aviva earlier along with fellow Reds legend Ian Rush, spoke of the Merseyside club's persevering qualities. It’s just terrible. No-one should go to a football match and end up in this situation. At Liverpool, we’ve had our fair share of tragedies as a football club and we’ve always seemed to pull together and show solidarity and make sure that eveybody’s okay. Tickets will go on general sale for the charity match-up this Thursday.